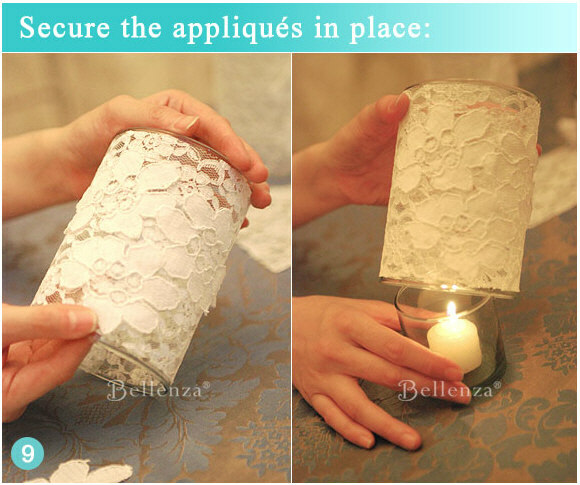 Inspiration Songket Affairs : Creatives Tuesdays: DIY Lace Candle Holders! Creatives Tuesdays: DIY Lace Candle Holders! 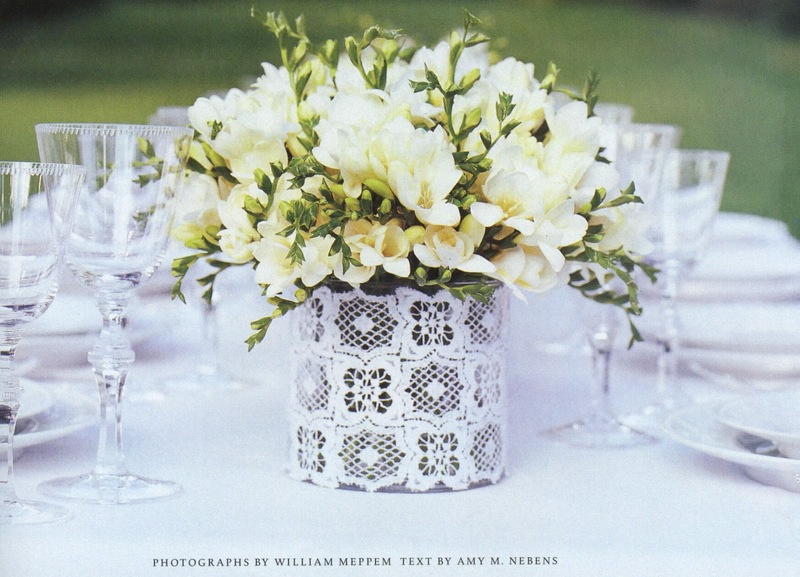 So how about lace as wedding table decor? Absolutely! See how lace-wrapped candle holders bring that air of romantic elegance to your table display. Their effect is so captivating, you’d be surprised at how affordable and easy they are to make. 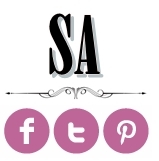 Just follow our step-by-step procedures below, and be prepared to surprise your guests! 4. Glass cylinders – varied sizes (For our demo, we used one that’s 5” high with a diameter of 3.75”) Note: You can use any size of glass cylinder, but the straight-sided type is best for easy wrapping. 5. Lace fabric – available at any fabric store Note: Just be sure to select and measure the fabric according to the size and number of your glass cylinders. 6. Rosette fabric - available at any fabric store Note: Alternatively, you can also use pre-cut floral appliqués. Step 1 – Measure the lace fabric first. For our project, we measured a piece 13” long by 5” in height (give an allowance of about ½ inch when cutting). Then we started cutting the fabric with our fabric scissors. Hint: Fabric scissors ensure that the edges are cut cleanly. You can find them at most craft and sewing supplies stores. Step 2 – Heat up your glue gun and first apply glue to one short edge of the fabric. Continue applying glue to the edges of the fabric, working your way up the long sides. Hint: You can also just put 3-5 glue dots on the edges. Step 3 – Position the glass cylinder on the fabric, then press the short end of the fabric in place. In a rolling fashion, continue to wrap the fabric around the cylinder. Step 4 – Using your glue gun, secure the loose end of the fabric to the cylinder. Now, the cylinder is completely encased in lace. Step 5 – Carefully trim off any excess fabric. Hint: Don’t worry if the seam isn’t perfect. We’ll disguise it later with the lace appliqués. Step 6 – Pinch the edges of the fabric to secure them neatly to the cylinder. Step 7 – Now take the rosette fabric and carefully cut out individual rosettes to be used as appliqués. You will need about 5-6 per large cylinder, and 3-4 per votive holder. Step 8 – Attach the appliqués at random around the cylinder with the glue gun or glue dots. Be creative, and have some overlap a bit for an artistic look. Hint: This is also your chance to cover up that exposed fabric seam! Step 9 – Check to see that each appliqué is securely attached to the lace-wrapped cylinder. And you’re done! Ready to See the Candles in Action? Aren’t they stunning? 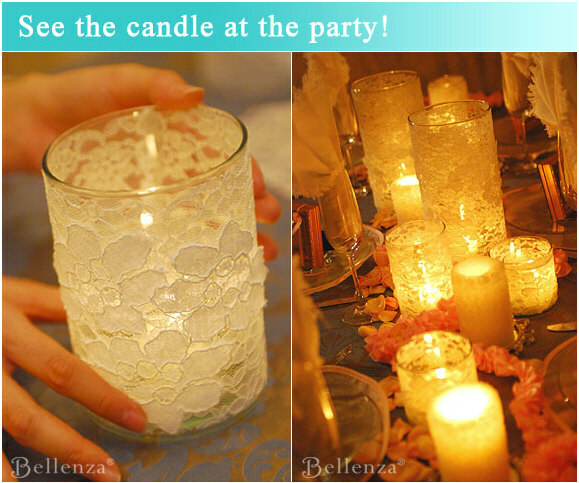 These lovely lace candle holders add a breathtaking effect to any evening wedding party. Simply group them at mid-table, as we did, surrounded by a ribbon garland and loose rose petals. And you have a centerpiece all aglow! Our decor tip: Set out lace-wrapped glass cylinders of varying heights and then incorporate white pillar candles (floral-embossed or plain) among them for a truly fabulous tablescape.